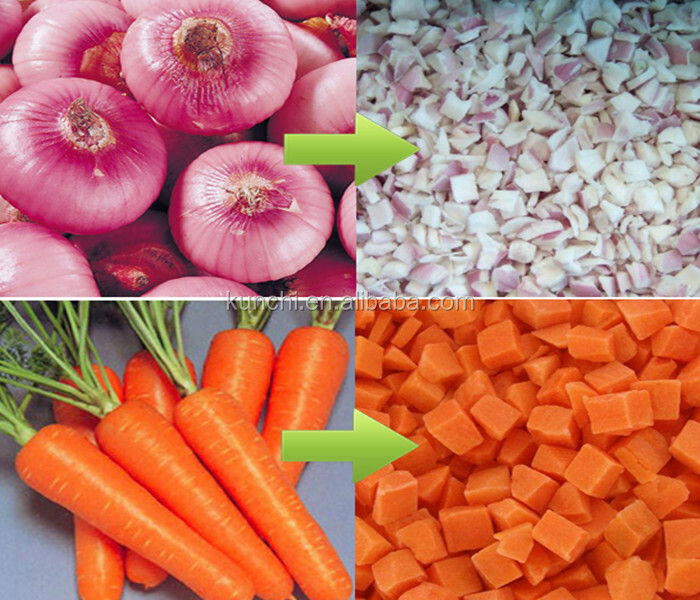 Buy Stainless steel onion / carrots cube slicing machine on sale - Jinan Joysun Machinery Co., Ltd. 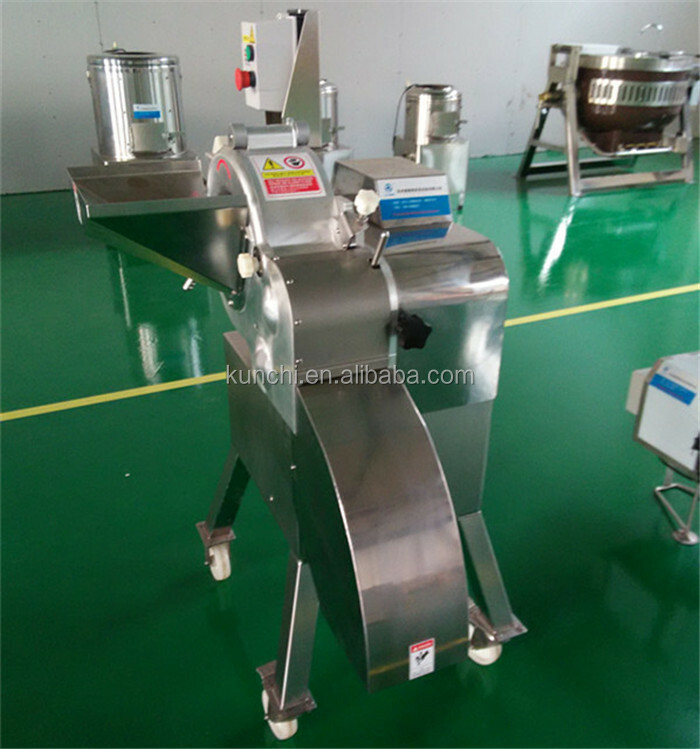 The onion cuboid chopping machine can cut strip of stem vegetables, root vegetables and fruit, like potato, turnip, onion, cucumber,etc. The machine imported and imporved Japanese advanced technology with high accuracy and efficiency. The cutting thickness is adjustable. With the characteristics of high output , easy to use handing, convenient cleaning. 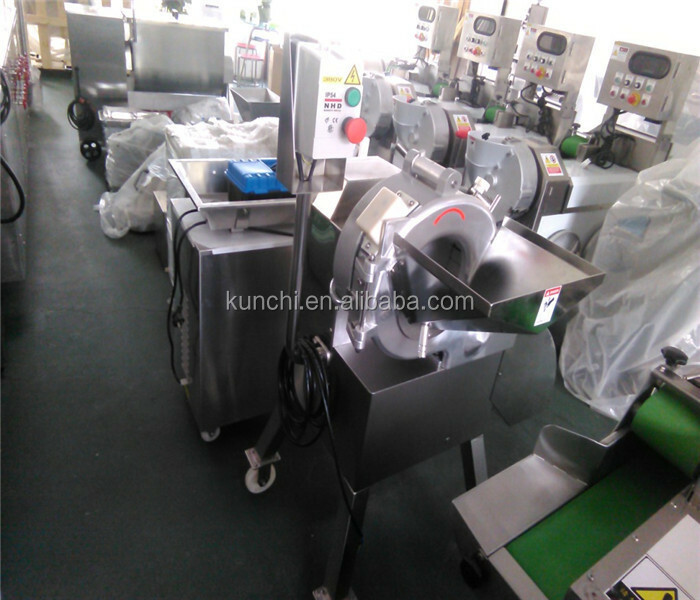 It can be used in food processing factory, catering industry and canteen. 1. The framework of the machine is made of 304 stainless steel. 2. The cutters are made of high-speed steel, which can be very sharp. 3.Into the mouth with micro switch, safe in operation.Through simple modification can shred. 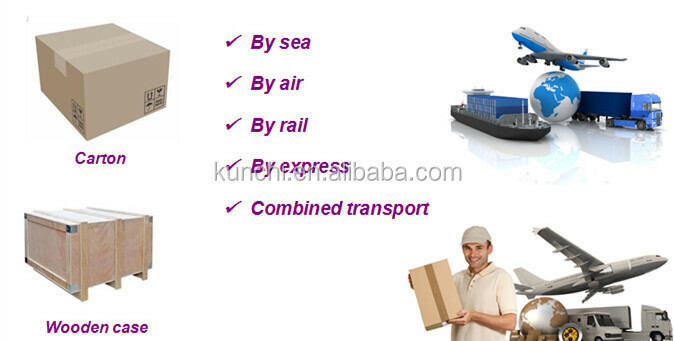 All the goods exported are packed in wooden case or carton with export standard except naked package when necessary. We have our own professional shipping company which could deliver the goods to every corners in the world with safety and speed, and aslo can supply the services of solving the problems occured during the transaction, such as customs cleaning. As a specialized machinery & equipment exporting company, Zhengzhou Kunchi Machinery Equipment Co., Ltd. which was established by KUNCHI Group in 2013. Who has been engaged in the machinery manufacturing field for nearly 15 years. Our new office is located in Zhengzhou,the central city of China with convenient transportation and good delivery conditions. At present, we have one factory producing toothpick making equipment in Zhejiang Province and two factories manufacturing food processing machines in Shandong Province. Otherwise,based on the long-term cooperation with other manufacturers in China, we can supply products and services to customers with the best quality and prices. Our products are widely recognized and trusted by users and can meet continuously developing economic and social needs. We welcome new and regular customers from all walks of life to contact us for future business relationships and achieving mutual success! As there are many voltage standards in different countries in the world, so the original motor equipped on the machine would not suitable to be used with the customer's local power supply, when this situation happened, please send us your exact information of the power supply available, then we can modify the motor accordingly.